When heading out to fish minutes, miles, or days away, forgetting your gear bag would be catastrophic. For that matter, forgetting any single item may be catastrophic. Ever been in a remote location with straight blistering sun and forget your sunscreen? How about tucked into the Everglades, hours away from your car or the marina and forgot the bug spray. Try a full day of wading the flats without polarized sunglasses! 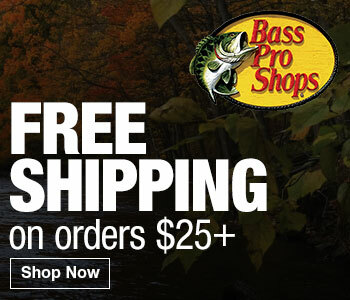 A solid bag of gear (tools) is essential for an effective and comfortable day of fly-fishing. Anticipating potential weather and environmental conditions plays a huge part in building your set of gear. Below is a list of gear I include in my bag no matter whether I drive or fly to my destination. GEAR BAG – Start by assessing your current bag or backpack. Has it ever bounced to the back of the boat to then sit in bilge water? Has the sea spray soaked your bag at one time or another? Maybe the bag was simply left in the rain while you were out wading the flats. When assembling your gear, beginning with a waterproof (at least splashproof) bag should be a top priority. For some, making it a backpack may work better. I use my Patagonia Black Hole 30 liter pack for my fly-fishing gear bag. It’s not too big, not too small, it’s tough, and it’s almost waterproof. On occasion West Marine stores will carry this line. If you prefer the duffle bag option, check out the Patagonia lightweight Black Hole 30 liter duffel . WAIST PACK – I’m a less-is-more kind of guy, so I use a Patagonia Stormfront Hip Pack when hopping off the skiff and wading the flats. This pack is waterproof, comfortable, roomy, easy to access, and functional. Of course, the pack is filled with alternate reel spools, boxes of applicable flies, three (3) tapered leaders, pliers, nippers, fishing license, lip balm, snacks, etc. Make sure you always have a small bottle of water in it as well. 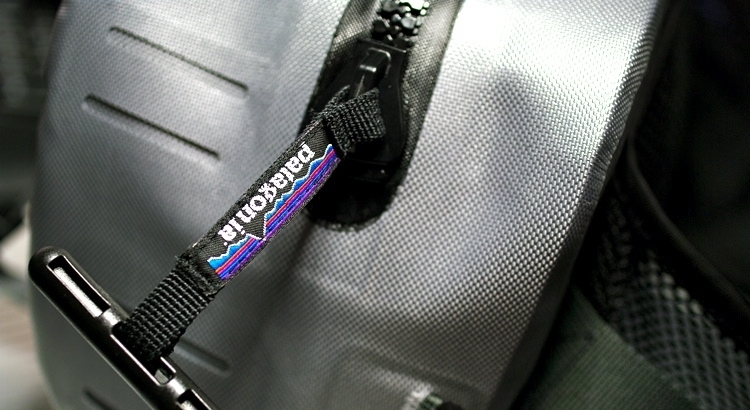 ROD(S) – I strap my 4-piece rod tube to the gear bag, for transport. REEL(S) – Make sure to include any extra reel spools or applicable lines for your trip. 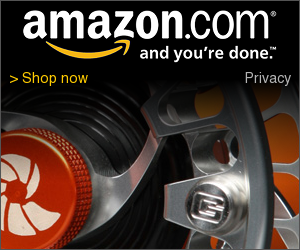 LEADER MATERIAL – I typically carry bracelet spools of 50, 40, 30, 20 pound test in my gear bag. This gives me the option to adjust my leader sections accordingly. As noted above in my waist-pack, I will carry three (3) tapered leaders as a quick go-to solution if I end up losing my full leader for some reason – here you’re trying to avoid the long walk back to the boat to construct another hand-tied leader. SUNSCREEN – In Southern Florida, don’t leave home without it. I carry a very small amount of sunscreen. I use Neutrogena’s oil-free SPF 110 because it’s small, potent, and feels dry after applying. BUG JUICE – Having a can AND a pump (liquid) of bug juice is a good idea. I suggest using Repel Sportsmen Max Aerosol (40% Deet) as the main bug spray, however if running out is possible, bring a one ounce back-up pump of Repel 100 (98% Deet). For a super lightweight option when wading, I use the half ounce pump of Repel 100 . BINOCULARS – I always bring my Leica 10×25 set of binoculars. They are not only used for sighting fish, but also for safety. WIDE BRIM HAT – Many manufactures make quite a few solid wide brim hats. I use a Simms Solar Sombrero . Great light colors, bungee headband, removable straps, UPF 50+, etc. As light as this hat is, the internal bungee headband is perfect for keeping the hat on in higher winds. This hat can easily be folded and flattened, taking up almost no room in your bag. SUN GLOVES – When you are out for most of the day, wear sun gloves. Some gloves come with stripping pads to help keep fly line from chaffing. I use Simms Solarflex SunGloves and love them. NECK GAITER – All it takes is one day of sun on the water and you will never forget your gaiter/ bandana again. The sun’s reflection off the water will nail you. I use a Huk Trophy Fitted Full Face Gaiter . It definitely keeps you cool and is easy to breath through. To me it seems like the HUK gaiter doesn’t choke you as much as the other brands. After a full day of wading, it’s amazing how little sun my face will get. If you are looking to purchase one, remember to stay with neutral light colors. WASHCLOTH & HAND TOWEL – Bringing both is important. I use one for cleaning and wiping things down. I use the hand towel for drying off. RAIN GEAR – Always bring your rain gear, no matter how sunny it looks. You will get the occasional showers, however in Florida, the showers can easily bring a downpour having a serious volume of water. Keep in mind, being wet may not be a very big deal in the Summer months – being wet in the Winter months, or on a 40 MPH boat ride back to the marina can be pretty cold. I use Patagonia’s Torrentshell Jacket. It’s part of their H20no series and definitely keeps you dry. Patagonia’s Torrentshell Pant would complete the set. As both are lightweight and easy to pack, I use both for all my outdoor sports/ activities. 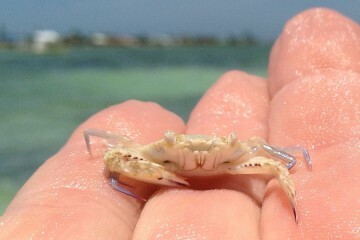 CAMERA – It is way too tricky to pull out a phone, or even a camera that is not prepared for the elements/ saltwater. If you want to capture your experience, use a GoPro. It’s made for the water (waterproof), it’s HD, it can take still photos, and it can be mounted or worn on your person. There is a variety of GoPro models. I have the GoPro Hero4 model. WATER/ FOOD – Always make sure to include a few bottles of water. If you are out for the full day, make sure your dry bag has “at least” four 16 oz bottles. Remember, most people get dehydrated quicker in humid climates, as apposed to arid climates. Throw in a few munchies as well – you’ll be glad you did. CELL PHONE – Within any reasonable distance of land or civilization, having a cell phone goes without saying. This is a tool used for safety, not to mention an insurance policy of sorts. Your gear bag has so many important tools in it, I suggest you make this one of your carry-on bags if you choose to fly. You won’t have a fly-fishing trip at all if you check this bag and it gets lost. 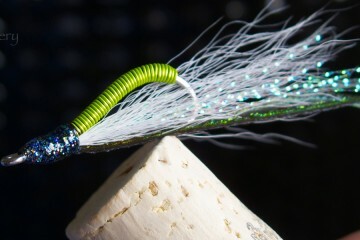 It is important to mention a few other items (which may not carried in your gear bag) that heavily impact the quality of time spent fly-fishing. SUNGLASSES – A must-have would be polarized lenses. Polarized lenses allow you to easily see fish below the surface of the water. Bringing two pair is necessary, not only for mishaps and safety reasons, but an amber set usually helps on overcast days. Ideally, a grey and amber set make a good tag team. I currently use Maui Jim’s Haleakala model for sunny days. The wrap-around style, grey Maui Jim optics, and polarization makes a great combo. I also chose this model because of its wire nose bridge – it keeps air flowing and allows for better cooling. Note: You can special order the matte black frame with the grey lenses through any Maui Jim retailer, as I did. This combination is not available in their standard line. SUN-SHIRT – As I’m a guy who minimizes the mess of sunscreen, I prefer staying covered up when out in the sun. Pelagic’s Vaportek line of UPF 50+ long sleeve sun protection is my go-to shirt. It’s cool in the baking sun, it dries very fast, and is smooth to the touch. This material is great for keeping cool in the heat, however be careful, it snags quite easily. On occasion, I’ll also use light nylon sun-shirts to stay cool and prevent sun exposure. My go-to shirt in the “loose-fitting” category is the Columbia’s Bahama II Long Sleeve Shirt. These are great for staying cool, air-drying quickly, and sun protection (UPF 30+). They also offer a nice windbreak when quickly running to the next hotspot at 40 MPH. Remember to stick with light neutral colors (not white – can spook the fish). WADING PANTS – Never thought I would ever wear a pair of pants in the water. After taking a closer look at some of the newer lighter materials and how the pants are constructed, I gave them a try. Wearing a pair of these light nylon pants for a full day of kayak fly-fishing really sold me. 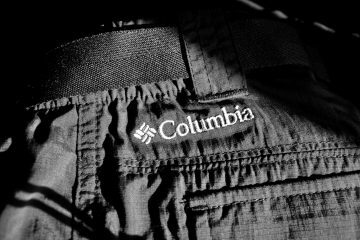 I use Columbia’s Silver Ridge Convertible Pant. They’re super compact for travel, they’re light, they dry fast, and somehow keep you cool in the hottest part of the day. The convertible feature is always a nice option of course. WADING SHOES – On the skiff, you may find yourself barefoot or in socks. When jumping into the water to wade flats, you may want to consider protecting your feet. It really depends on your environment. Consider stingrays, coral, sea urchins, etc. In the beginning, I used micro thin neoprene socks and a cheap pair of Canvas All-Star high-tops to wade. Great idea, however cleaning the gear when returning home became cumbersome. Not to mention, garments made of organic materials will house bacteria – better to stick with nylon and other poly materials. I now use Merrell’s Capra Rapid Hiking Water Shoe. I have found this shoe is light, quick drying, and stays cool in our warm water. As expected, Merrell’s sole is also non-marking – boat decks will stay nice and white. MARINE RADIO – Having a VHF marine radio on hand is another insurance policy. Like we would use a cell phone when close to civilization to reach others for help, a VHF marine radio would be used to find help in locations where only other boats are close by. I use an Icom M73 Handheld. It’s small, offers 6 Watts of power, has an IPX8 waterproof rating, and has some great features. I have used Icom for over 30 years now and have been satisfied with their products from day one. If you have any suggestions for additional gear/ tools, we want to know about them. Please feel free to comment below and share. Hi all – updated all the dropped links to keep you connected to the right gear. Hit me up with any questions/ comments. Love the list. Thanks so much. My tip is to add a dry bag for your cell phone. I use Dry Pak. It’s got a neck lanyard as well so the phone is easy to access.